Guys. I am in love. Enough words, I really wanted to do this pencil case, but I didn’t have any white fabric lying around. Dammit. 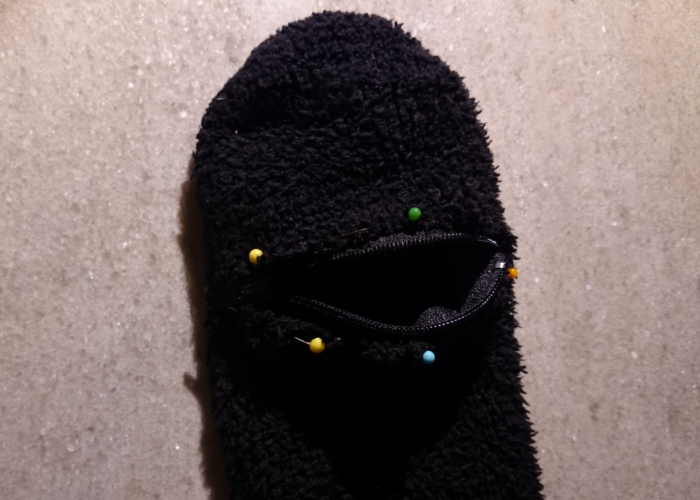 I had a single black fuzzy sock, though. I wore that only once and then the other one got missing and ever since then, that single sock was going on my nerves. It had to vanish. Or be turned into a pencil case. 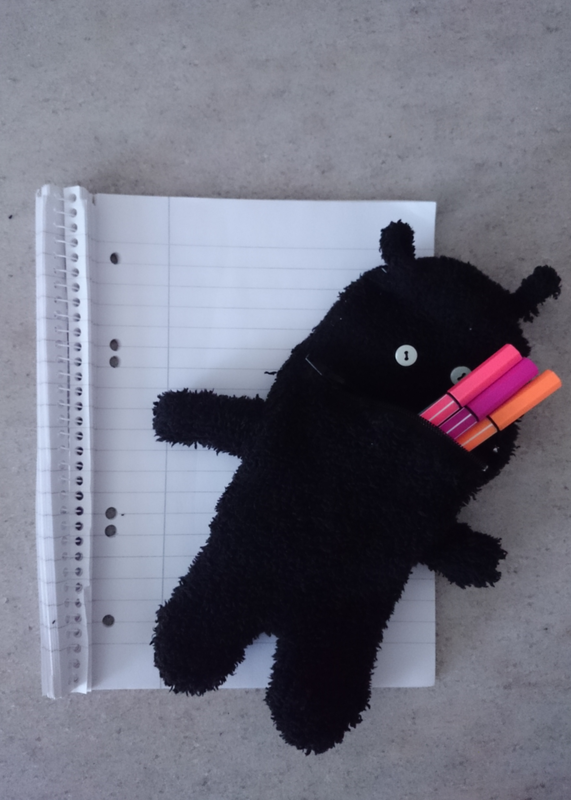 On Saturday night, when I was finally recovering from the flu, I made that pencil case. Unfortunately, it was already around 1 am, so the lighting was REALLY bad and the pictures I took are crappy. 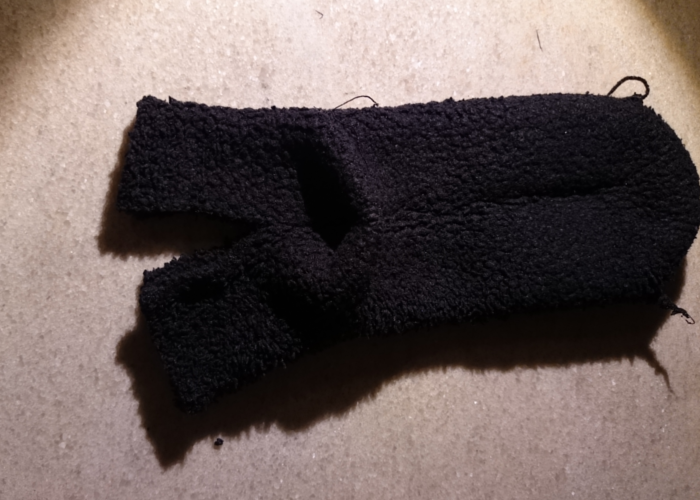 Cut off about 3-5 cm off the sock (on the open side). Turn your sock inside out. Place it in front of you so that the heel is downwards. Open the zipper and sew it in. Sew around the “flippers”, too. 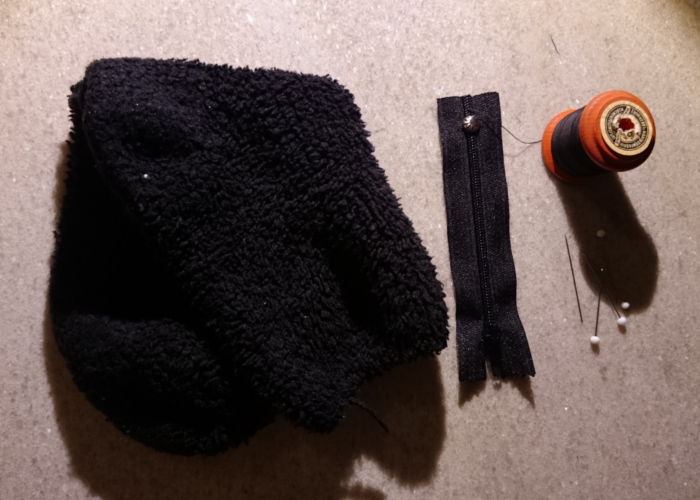 Then use the zipper hole to turn the whole thing outside out again. Now take the piece you cut off at the beginning. 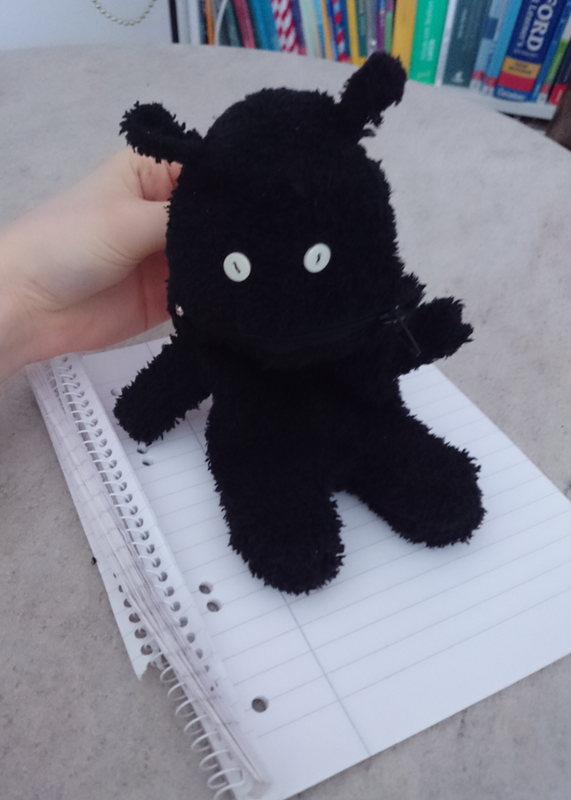 Use it to sew little hands and ears to your pencil case. For the eyes, sew two little buttons on or glue jiggly eyes on. That’s it! Isn’t it adorable? Ok, enough of that babbling about cute pencil cases now. Have you heard of LaurDIY before? 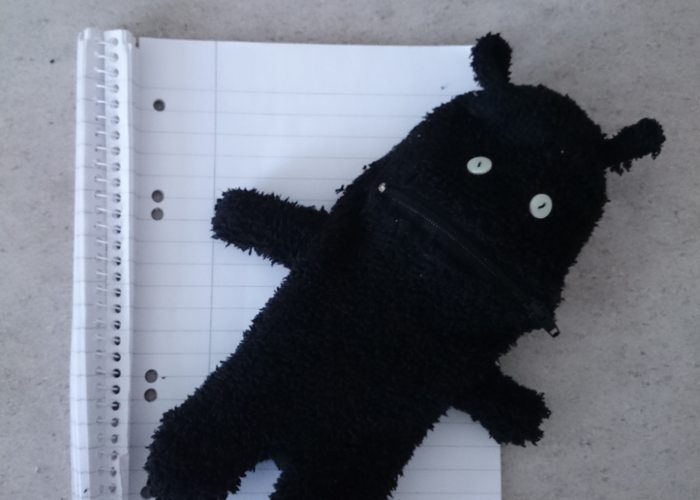 And what do you think about my monster pencil case? Let me know in the comments below! 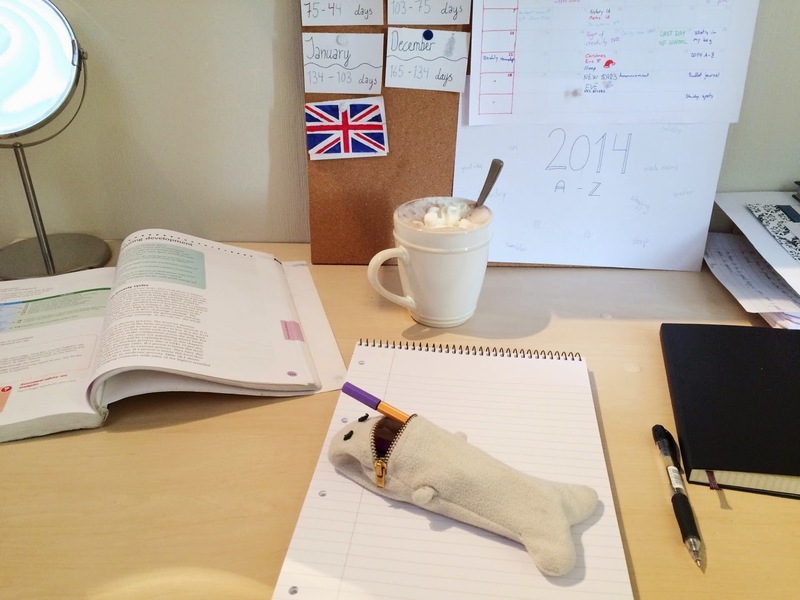 "inspiration | how to survive the flu + DIY phone holder"